The description of this book caught my eye at once. 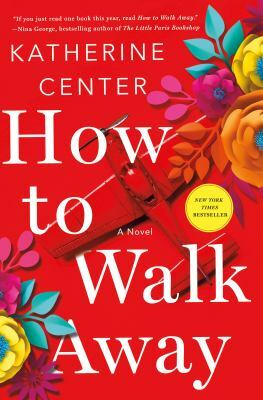 How to Walk Away by Katherine Center is all about finding joy and love even when it seems like your life has hit rock bottom. As I was reading this book, I noticed that each main character goes through a major life-changing moment that, if the individual lets it take over their life, has the ability to derail everything and completely destroy all. Margaret Jacobsen has her life together. She has very clear goals for herself and has met every one of them. She worked really hard in order to make sure she was set up for success in the future. Margaret has a new dream job, a beautiful new condo, and a boyfriend she’s 99% sure is going to propose to her on Valentine’s Day. The culmination of her every wish is within her reach. Margaret couldn’t be more excited about the prospect of her future. Heading out with her boyfriend, Chip, for a romantic Valentine’s Day, Margaret realizes that the date he has planned for them is not what she would have thought. At. All. Game to try because Chip is so excited, Margaret goes along and sure enough, Chip proposes! In the midst of their celebrating, on what should have been one of the happiest days of her life, everything Margaret has worked so hard for her entire life is ripped violently away from her. Now Margaret is in the hospital and realizes that there is a possibility her life will never be the same. She is broken physically, mentally, and emotionally. Chip is no help. He hardly ever comes to visit her, expects to be forgiven, and goes rapidly downhill by wallowing in his own self-pity. Her sister, Kitty, mysteriously left town three years ago and has been completely silent the whole time. Now Kitty is suddenly back in town and old family resentments are bubbling back to the surface. Her mother tries to micromanage Margaret’s situation, while her father struggles to keep the peace between everyone. This family drama happens simultaneously as Margaret is dealing with her intense medical problems. Her physical therapist, Ian, is also one of her problems. The nurses all say that he is too tough for her and she needs someone nicer. When Margaret and Ian meet for the first time, she instantly understands their reluctance to have Ian work with her. Ian is incredibly brusque, never smiles, and is all business. He is the exact opposite of all the other physical therapists and even her own family. Ian refuses to pity her and treats her as a capable person who has the power to change her own circumstances. After spending time working with Ian, Margaret comes to realize that sometimes the thing she needs is not what she wants and the thing she wants may not be what she needs. This statement rings true for multiple other characters. Love, happiness, joy, contentment, and hope all have the capacity to pop up in our lives when we least expect it. Medical thrillers can sometimes be overwhelming if the author focuses the majority of the text on intense descriptions of medical issues. One author that I feel has managed to successfully balance medical, suspense, and mystery is Daniel Palmer, writing a Michael Palmer medical thriller. 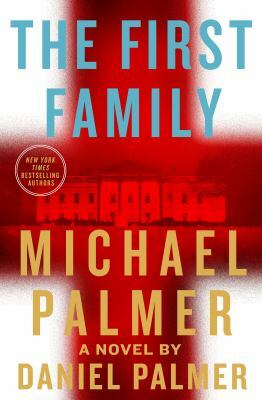 The First Family by Michael Palmer and Daniel Palmer is the latest book of theirs that I listened to. This book centers around the President and his family. President Geoffrey Hilliard and his family deal with everyday issues while under intense public scrutiny. The President and First Lady are growing increasingly worried about their only son, Cam, who keeps withdrawing into himself. 16-year-old Cam is experiencing moodiness, extreme fatigue, and recently had a violent outburst that Secret Service Agent Karen Ray was present for. The main White House doctor is quick to dismiss Cam’s symptoms by saying that Cam is a teenager growing up in the spotlight and thus has developed depression. Karen, after observing Cam, becomes convinced that his issues are more serious than depression. Because the original doctor dismissed Karen’s concerns, Karen reaches out to her ex-husband Dr. Lee Blackwood for a second opinion. The President is not thrilled with Lee’s intervention and dismisses his concerns over Cam’s condition. Lee monitors Cam through Karen and grows increasingly more worried and concerned. The President and First Lady soon reach out to Lee again when it’s discovered that Cam is getting progressively worse. Cam’s symptoms puzzle Lee because their combination doesn’t make sense. Lee is busy doing research and comes across the case of Susie Banks, a young musical prodigy who has the same symptoms and condition as Cam. Running across Susie’s case, Lee discovers that someone has tried to kill her and no one knows why. Looking at medical records, Lee hopes to find more connections between Susie and Cam to figure out what is happening with them. Similarities start to pop up and Lee starts poking around. The cause of their condition is unknown, but Lee and Karen both know that they are on a deadline to find a cure for Cam’s mysterious disease before it turns deadly. This book had a little bit of everything that I love in fiction: romance, politics, family drama, medical issues, suspense, and military drama. I felt, as I was listening to this book, that there was something in this book for everyone. I’m excited to read another one of their books to see if they could become one of my favorites. What would you do if you lived a double life? If you had the option to better yourself and change your life for the better, would you take it, no matter the cost? How far would you be willing to go for revenge? 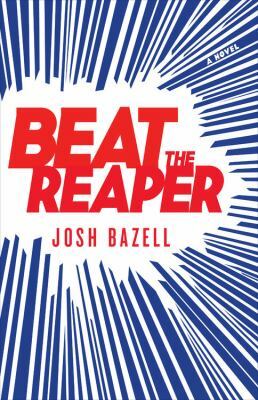 All of these questions and more are what the characters in Josh Bazell’s Beat the Reaper deal with on a daily basis. Beat the Reaper begins by introducing us to Dr. Peter Brown, an intern at Manhattan Catholic, on his way to work when he is held up at gunpoint. Brown springs into action, showing a vast knowledge of martial arts and combat skills that are so tailored to seriously main and kill that they couldn’t simply have been learned by taking classes at the local gym; they must have been put to actual use. How did this seemingly normal man gain these skills? The mystery begins. Peter Brown, aka Pietro Brnwa, used to be a contract killer/hitman for the mafia, a relationship that began in his teen years after the brutal murder of his grandparents and one that ends with him having to join Witness Protection when one job turns his life upside down and ultimately leads to Brown tossing his best friend out of a 6th floor window. 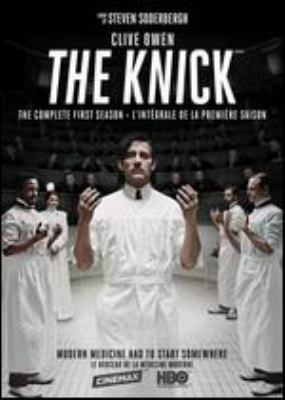 In WITSEC, Brown decides to become a doctor to honor the legacy of his grandfather, a job that, so far, has not put him into contact with anyone in his previous life until the day he walks into patient Eddie Squillante aka Nicholas LoBrutto’s room and finds himself face-to-face with a man dying of cancer who demands to be saved or he will reveal Brown’s new identity, thus guaranteeing a group of other hitmen to come after him. Brown is forced to reconcile the sudden thrusting of his two lives together and decide how far he is willing to go to get what he wants. This book is Josh Bazell’s debut novel and his background as a physician shows through in the intricately detailed medical digressions and footnotes that populate the book. If footnotes throw you off, don’t be worried. Bazell has molded Brown’s character into a perfect mix of the medical and the criminal that the descriptions of medical issues come across as the well-articulated discussions of a compartmentalized and highly knowledgeable individual. This darky humorous, suspenseful crime novel will have you wondering where Brnwa ends and Brown begins, a dichotomy that will either lead to life or death for this compelling main character.